Make sure you’ve got good music to keep you motivated during your cardio and training sessions. The last thing you want to do is get on a treadmill and run to no beat or cadence. Being in the gym means you’re moving and to move right you need flow. Enter the fantastic playlist. Try different genres like dance music, hip-hop classics, remixes or even specific songs that remind you of happy times. You may want to try a playlist that’s more about inspiration, perhaps with strong lyrics and meaning. Great music is not only enjoyable, it helps you stay in the zone and provide the extra energy needed to power through your workouts, day in and day out. Your favorite songs will pump up your heart rate and get you moving no matter what exercise you’re performing. Don’t forget quality headphones that can take volume up a notch. You don’t want to be overhearing the loud speakers at the gym. Find a pair you’re comfortable with and get going! 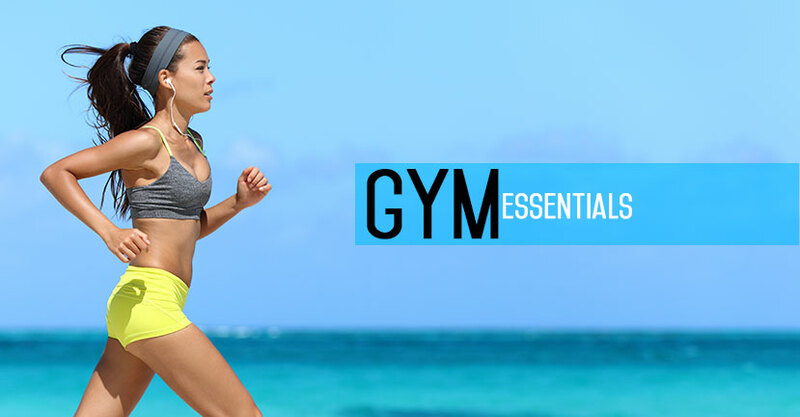 The right supplementation makes all the difference in your workouts. For more intensity, endurance and performance, a protein bar does the trick. Enjoy it as a pre-workout snack so you don’t get the hunger pangs in the middle of your routine or have a bar for muscle recovery purposes afterwards. The market’s flooded with protein supplements from powders to bars, but you want to make sure you’re getting supplementation with clean nutrition and great taste. BPI Sports’ newest addition to the family of supplements is a protein bar called the Best Protein Bar™, which is made with three quality proteins including whey protein isolate, milk protein isolate and whey powder. The Best Protein Bar™ boasts 20 grams of protein and packs an unrivaled punch of taste, texture and nutrition. The best part? There are delicious gluten-free flavors including Cookies and Cream, and S’mores. One taste and it’ll quickly become one of your favorite gym essentials. From fashionable sneakers to good ol’ Chuck Taylors, there’s a wide variety of shoes out there for runners, cardio machine-enthusiasts and bodybuilders. Are you an underpronator where your foots rolls outwards? Or overpronator where your foot rolls inwards? How does your foot strike the ground? Do you have a high arch or more of a flat foot? These are all questions to ask yourself when you’re purchasing your next pair of gym sneakers. You want good cushioning for better support and maximum shock absorption. 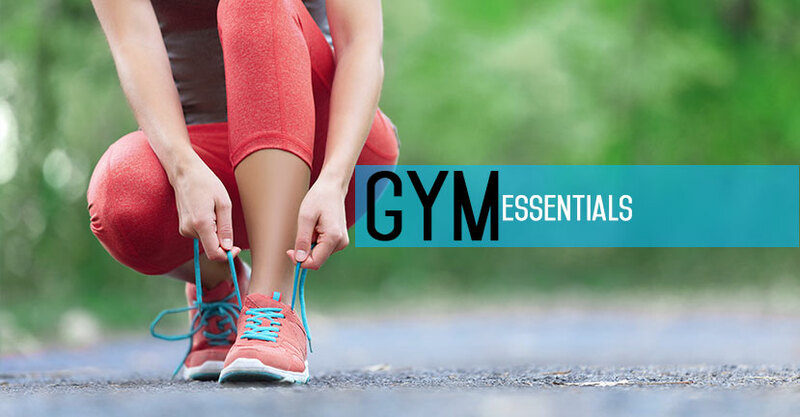 You may also want to consider different shoes for the different types of workouts you’re doing. It’s important to be comfortable when you’re working out, but you want to make sure your clothes are functional, too. Always look for natural, breathable fabric that repels odor and pulls moisture from your body to the exterior where it can evaporate more easily. You don’t want any constricting clothing or flimsy sports bra for example. You also don’t want anything to ride up or be too revealing. Forget the ratty tees or the over-sized and stained jogging pants. If you look good, you’ll feel good and that can translate into more motivation, for more intense training. If you’re a legging kind of girl, go for a pair that grips and secures you at the waistline to prevent slippage. For men, flat-seamed t-shirts eliminate chaffing so add them to your list of gym essentials. Whether it’s water you like to sip on, a protein powder mix or other pre-workout supplements, a good shaker bottle is a must on the gym essentials list. You want one that’s big enough, yet light, one that’s free of BPAs and dishwasher safe. Make sure its lid easily grips to the body of the bottle to prevent messy surprises at the gym.